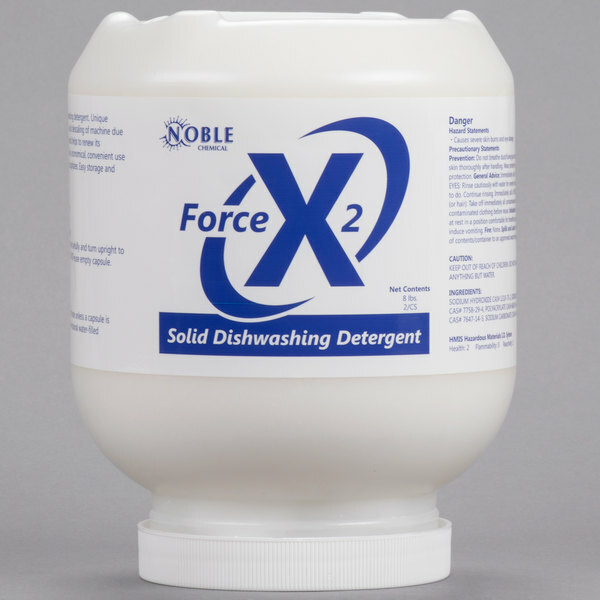 Give your dishes a powerful clean with the Noble Chemical Force X2 solid dish machine detergent! This detergent comes in an 8 lb. jar so you get a long-lasting quantity for your business. Its concentrated formula has a built-in descaler to help reduce and eliminate the need for acid descaling, and it's safe, economical, and convenient for all soil loads and water conditions.